GRMC’s Patient Financial Services (PFS) team recognized World Down Syndrome Day on March 21. The event is a global awareness day that has been officially observed by the United Nations since 2012. 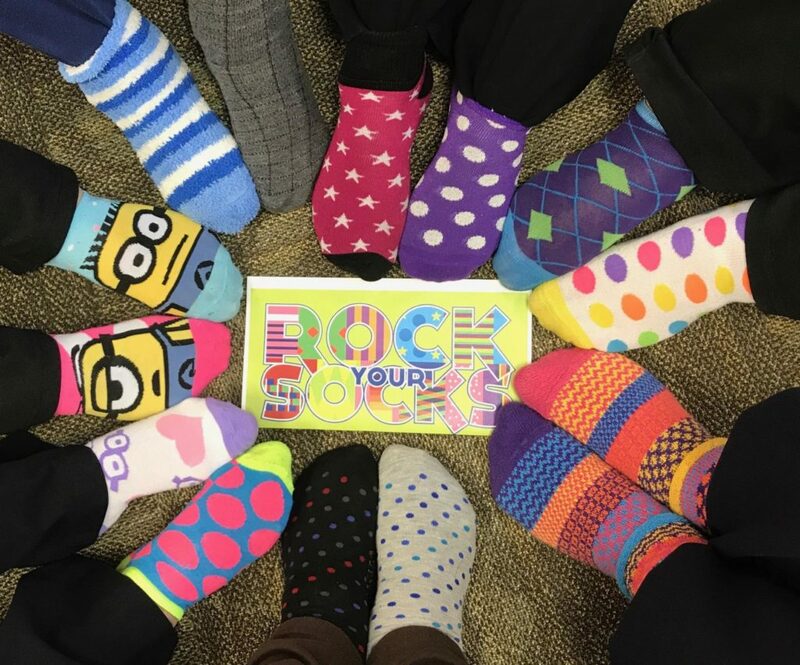 The Patient Financial Services team recognized World Down Syndrome Day by participating in “Rock Your Socks,” a fun and colorful event in which people from all over the United States opt to wear unique and colorful socks to show recognition for people with Down Syndrome. The “Rock Your Socks” movement was established to celebrate individuality and uniqueness while making the world a brighter place. “Rock Your Socks” is one of the many activities that happen during World Down Syndrome Day. The day helps bring awareness and creates a unified voice for advocating for the rights, inclusion and well-being of people with Down syndrome. The date for World Down Syndrome Day is the 21st day of the 3rd month, which was selected to signify the uniqueness of the triplication (trisomy) of the 21st chromosome which causes Down syndrome. The Patient Financial Services team is comprised of 11 team members who support patient billing and patient account management. Additionally, they also coordinate GRMC’s The Caring Program for patients who demonstrate financial need for hospital services.